As many studies suggest, socialization, engagement and maintaining meaningful relationships are critical for seniors' overall health and wellness, and considered key to successful aging. 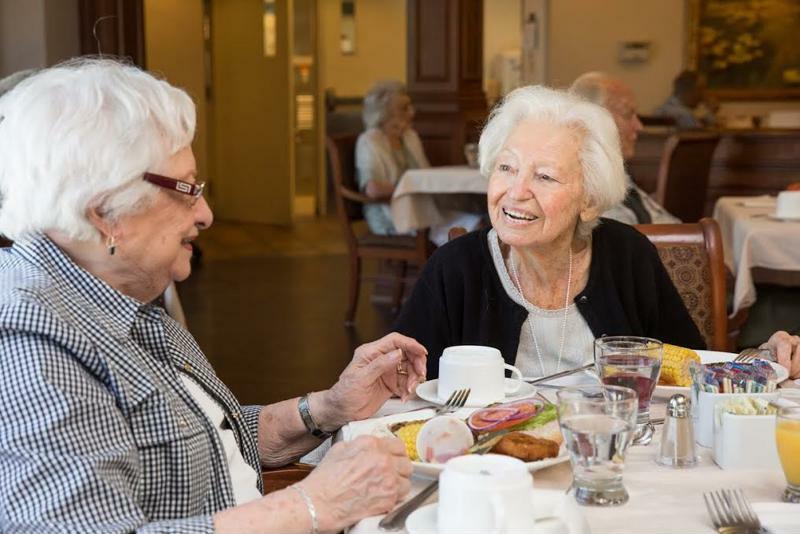 At a retirement residence, there are many social opportunities available to residents. An environment conducive to conversation and building friendships, residing in a retirement home can be especially comforting for those individuals who have recently lost a spouse or close friend, or don't have family living nearby. It's also a great fit for seniors who live on their own, yet have social personalities, as community-living can provide them with daily interaction with caring staff and peers. According to Healthy Aging, a Canadian Community Health survey, 80 percent of seniors were frequent participants in at least one social activity throughout the year. As the number of activities increased, the likelihood of being unsatisfied with life decreased and the likelihood of feeling positive about their well-being rose. "Social interaction is critical for seniors health and well-being." According to Helpguide, one of the main causes of depression in older adults is loneliness and isolation. One of the many benefits of living in a retirement community is being surrounded by residents and staff at all times, which can be reassuring if friends or family don't live nearby or aren't able to visit as often as they'd like to. By residing in a retirement community, seniors can help rid themselves of depression and isolation because of all of the chances for social engagement. In fact, there are plenty of social opportunities at a retirement community—from enjoying a meal with friends, to participating in an activity or class, to joining an outing in the community. Sometimes, certain things in life—whether its a busy schedule or being worried about family members— can make you extremely anxious and stressed out. Helpguide says socialization is a great way to reduce the amount of stress in one's life. Seniors who feel stressed out should try grabbing a friend and heading out for the day to go on a shopping trip! Or, seniors can consider going on the next community outing for a stress-relieving day of fun. Seniors who socialize are less likely to become depressed. Seniors who live in a retirement community have the advantage of living close to many people, making it easier for them to make long-lasting friendships. Helpguide says socialization can boost self-worth in seniors' lives. By being there for a friend who may not have family visiting often, seniors can feel a sense of meaning and self-worth in their lives. While friendship is a two way street, sometimes the giving side can really add purpose to someone's life. Chartwell Retirement Residences believes that active living is a critical component in helping seniors maintain their overall health and well-being. They make it easy for residents to remain socially engaged in their communities so they can enjoy happier, healthier and more vibrant lifestyles. Download a sample activity calendar today for insight into the programs, activities and outings offered to their residents!